GRAHAM AND GREENLEE COUNTIES – Creating successful futures. That’s what the Gila Institute for Technology (GIFT) strives to do, offering career readiness training for students while they are still in high school. GIFT is one of 14 voter-approved, public Career and Technical Education Districts (CTED) in Arizona, providing specialized vocational education – now known as Career and Technical Education (CTE) – to area students. Along with the state’s universities, its community colleges, and primary and secondary schools, CTED’s are one of the four legs of Arizona’s educational system. Each CTED has a unique challenge to prepare Arizona students for the highly competitive workforce. Because of the efforts of the CTED system, more than 100 school districts throughout Arizona have the opportunity to provide innovative Career and Technical Education programs for students. 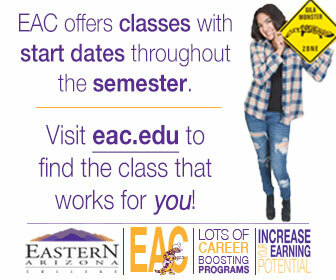 CTE programs are taught at Eastern Arizona College, as well as the high schools in Fort Thomas, Pima, Thatcher, Safford, Mt. Graham, Duncan, and Morenci, as well as home-schooled students. The free college training leads to community college and/or industry recognized certification. More than 37 CTE programs are offered at local high schools, including agriculture, bioscience, culinary, education professions, business, construction, welding, and autos, with over 20 CTE programs such as drafting, welding, nursing assistant, medical assistant, cosmetology and sports medicine, are offered in partnership with Eastern Arizona College. GIFT started in 2001 with the Fort Thomas, Pima, Safford, Solomon, and Thatcher school districts. Three years later, voters in the Duncan Unified School District approved joining GIFT, and in 2011, voters in the Morenci School District also decided to join in. GIFT helps to support school districts with “the expensive costs of CTE programs,” Thygerson said. The welding program is an example of a program with expensive supplies, with its required purchases of welders and steel. GIFT has given back more than $14 million since 2001 to the local high schools to enhance and upgrade their CTE programs. GIFT has a high placement in the healthcare professions, and its Industrial Electrician program helps students find work in local industries, such as mining. Programs are open to sophomores, juniors, and seniors who qualify, and they must apply through GIFT. 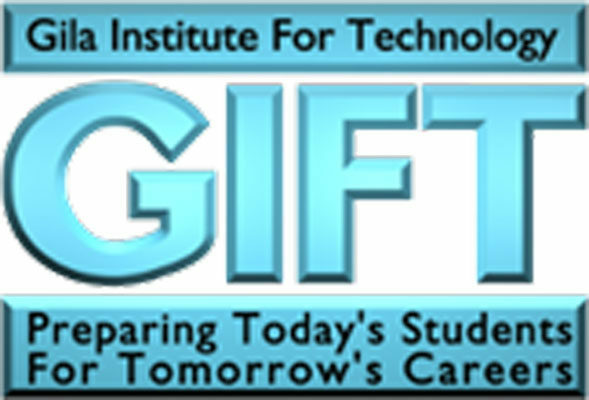 For more information or to learn about enrolling in GIFT programs call 928-348-3393 or email npetersen@giftjted.org with questions or review our website, www.gift-tech.org.